The Tax Cuts and Jobs Act of 2017 contains a provision that allows the use of Section 529 savings to pay for private K-12 education up to $10,000 per year, per child starting in 2018. Establishing and funding a Section 529 plan can provide significant tax benefits. See your investment adviser and accountant for more information. Families may receive a Parish/Church Tuition Credit of up to $100 per student if the family is an active, registered, contributing member of their parish/church. The family may submit the Parish/Church Tuition Credit Form which must be completed and signed by the parish pastor. The amount awarded by the parish will be applied as a tuition credit when payment is received from the parish/church. 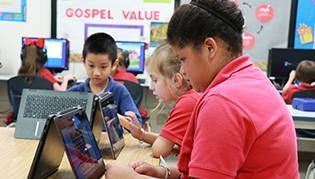 The Parish/Church Tuition Credit is not applicable to Elementary Level - Traditional and Montessori students. If a student qualifies for tuition assistance, the grant award is applied to the annual tuition at the start of the year and the balance is divided by ten monthly payments. 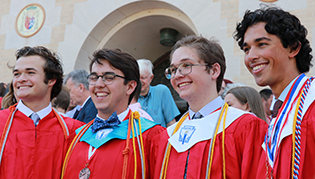 Because of generous philanthropic support from individuals and foundations, IWA provides considerable tuition assistance to students. During the 2018-2019 school year, approximately 42% of the student body received more than $875,000 in need-based tuition assistance with awards ranging from $100 to $5,000 based on the school level and documented need. Please contact Debbie Diegel, Accounts Manager, at (361) 883-0857, ext. 174 for more information or visit our Tuition Assistance page. If two or more students from an immediate family are enrolled, the family may be eligible for a family rate discount on the annual tuition. Beginning with the 2018-2019 school year, Incarnate Word Academy is proud to announce there is a 25% tuition discount per student for active-duty military families. There is a $25 nonrefundable application fee. The fee is due at the time of application. Tuition may be paid annually, semi-annually, or monthly (over ten months) starting in July and ending in April or starting in August and ending in May. Annual tuition is due by August 2, 2019. There is a $585 nonrefundable enrollment fee due at the time of enrollment for each student. The activity fee covers nearly all the costs for extracurricular (non-athletic) activities such as academic events, awards and celebrations, most field trips, yearbook, clubs and organizations, grade level retreats and religious activities. This fee is due August 2, 2019. This fee may be paid monthly over the first two months of school (August and September). Athletic fees help subsidize a portion of the operational costs for athletics including equipment, travel, some meals, entry fees and payments to officials. 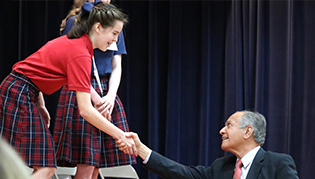 Incarnate Word Academy is proud to announce there will be a 25% tuition discount per student for active-duty military families beginning with the 2018-2019 school year. Tuition may be paid annually, semi-annually, or monthly (over ten months) starting in July and ending in April or starting in August and ending in May. Annual tuition is due by August 3, 2018. There is a $550 nonrefundable enrollment fee due at the time of enrollment for each student. The activity fee covers nearly all the costs for extracurricular (non-athletic) activities such as academic events, awards and celebrations, most field trips, yearbooks, clubs and organizations, grade level retreats and religious activities. Effective October 1, 2016, all credit card transactions processed by the Business Office will incur a 3% processing fee. Thank you for your understanding as we strive to be good stewards of our resources by reducing costs where possible.